Traveling towards the beach is an ultimate break from you reveryday life. If you have been following me on Instagram regularly, you would know that I took my first big vacation with the Twins! Yes, we went for the first time when they were 5 years old but at least we did go!! During our first experience with traveling with them, We realized we made a few mistakes and forgot certain important things during our travel. Though Goa has a lot of people staying there for months, so grocery and other everyday supplies are available easily, but you may be in a soup f your baby is allergic to certain brands or if you use just a particular product. The stores may not have the same brands available, putting you in a soup. So here for you I have compiled a list of items you must have when traveling to Gao or any beach destination, especially with kids. Travelling to the beach, here are some clothing options you must carry. These enlist items that should be carried for the kids too. Make sure that if you are used to a certain brand of products, you carry them with you. Do not rely on local markets to get your products. Take some anti chaffing cream with you. The good old coconut oil also works great. You can also use your baby’s diaper rash cream in case you forget to carry an anti chaffing cream for yourself. We often forget to carry components of electronic capacity together and end up buying either duplicate spare parts or very expensive essentials due to missing on taking them home. Make sure you carry all your required electronics, and all associated components like their cases and chargers with you, whenever you plan a beach trip. Always carry these accessories whenever you plan a vacation to the beach with your little one. Which of these items are you most likely to forget?? Share with me in the comments below. We have never been on a beach vacation but very soon, we will be planning one. Your list has covered all the points. When you pack all the necessary things that you re going to need during your stay the you can make the best of the. vacation and not running around to collect stuff. 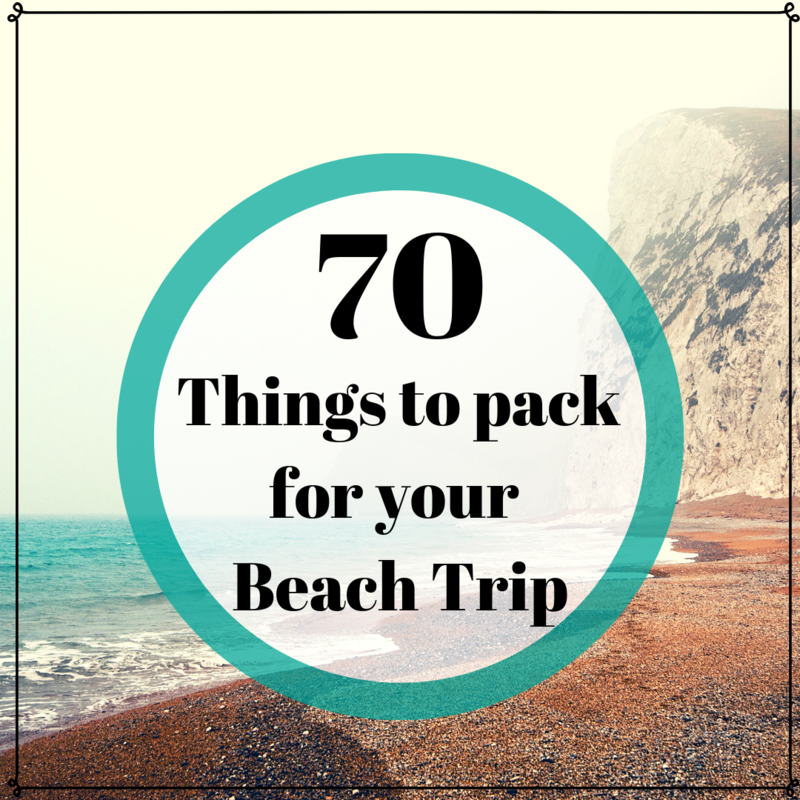 We love beach vacations and I found your list exhaustive. I will surely refer to it when I pack for my next one. Thanks for sharing it! Thnaks for this checklist. I am not going to make one ever now, I am just going to save this one. I think this works for most of the vacations so can alter according to the place of visit. Thank you for posting the detailed list.. This is of great use for me as we often go on beach vacations..